Today I got chance to talk with Amy about her recent Stormcast model, the Stardrake! 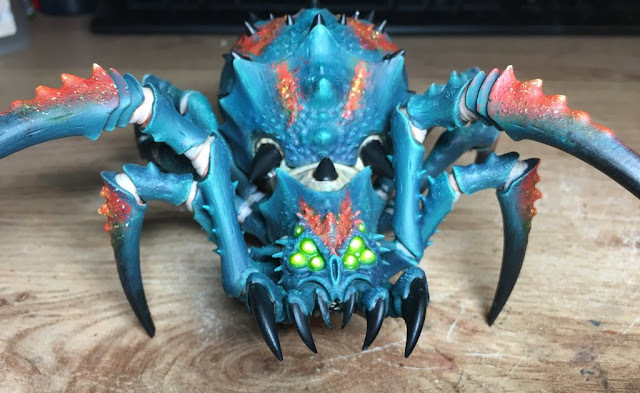 I'm sure if you are on twitter or Facebook, you have seen this models progress but here she goes into details about how she achieved some of the effects. I also talk with her about her life in the hobby and other bits. Hope you enjoy! Sean: Hi Amy, how are you? Amy: Hello! 🙂 I'm very well thank you, I'm happy to answer your questions and thank you for choosing to feature my work! Sean: Cool, your work has inspired me and so many others, how do you find the time to crack out the amount of models you do? Amy: That really means a lot to me to hear that, I'm glad my passion for this hobby has inspired others, because this hobby has really changed my life and I love it so much, so it's great to hear my enthusiasm for it spreads to others. Well, I must admit sometimes it is hard to find the motivation to paint, I'm currently working full time and doing my doctorate at University so the spare time I do get is mostly spent painting. I really try to dedicate as much time to it as possible, even if it's working on something for an hour every evening. I also try to be as productive as possible, and make the most of my time, so for example if I need to base some models and wait for them to dry I will do them the night before I set out to work on them, or do them before I go out, so I'm not wasting time waiting for things to dry when I could be working on them. I think chipping away at your paint log a little bit at a time every day is a great way to stay productive! Sean: Wow, still don't know how you find time with all that! I have been watching the progress on Twitter of your Stardrake, it is amazing! How did you go about starting the model? What was your inspiration? Amy: Thank you very much! To be honest I didn't really have a lot of inspiration before, that was one of the main reasons I put off starting it for so long because I was so daunted about how to paint it. 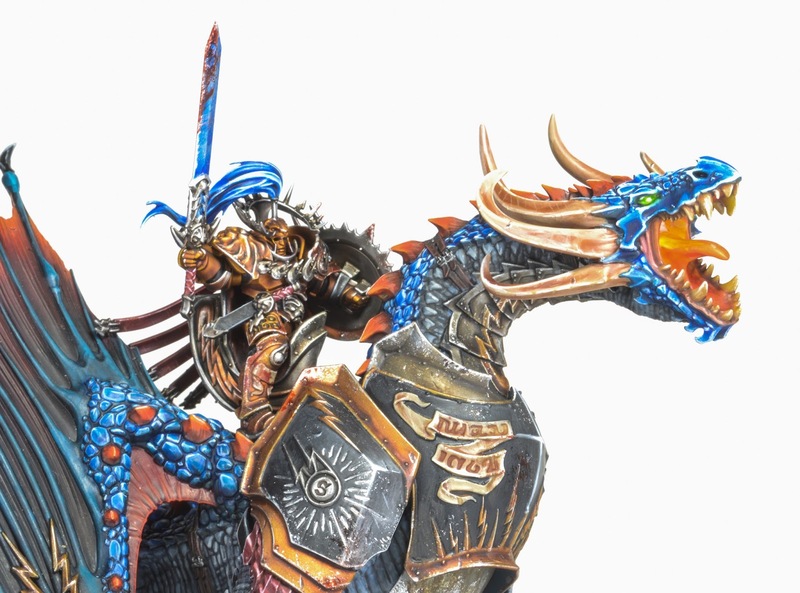 The main armour scheme is the Fists of Sigmarite scheme which I have used for all my Stormcast Eternals. 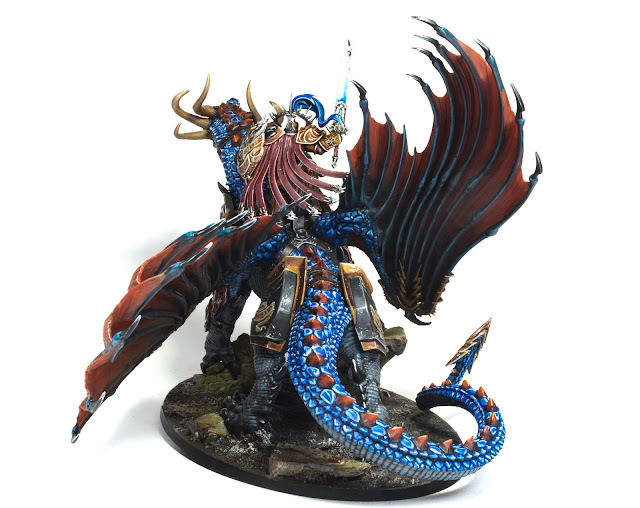 However, the main bulk of the Stardrake; his scales, wings and body were just thought of as I went along, I knew red and blue went together nicely so I just went for it and was very happy with the outcome! I didn't really have any fancy plan to be honest, I just made it up as I went along really! Sean: I particularly love the blending on the wings, was this airbrush or paintbrush? Either way, what was your technique? Amy: The wings were firstly airbrushed black towards the bottom and then airbrushed Khorne Red as a gradient from top to bottom, so letting more paint out towards the top and gradually reducing it as I went down. 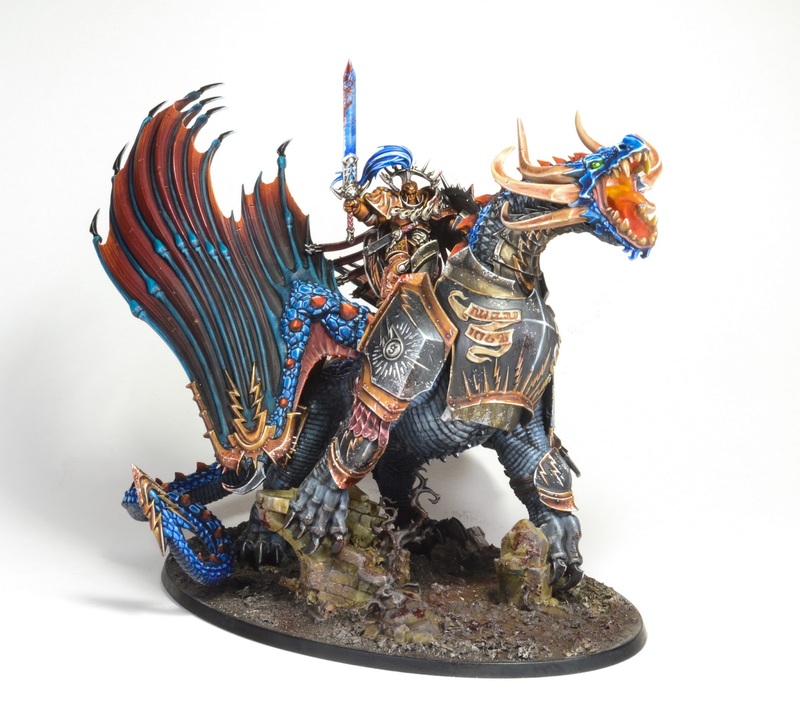 I then went back in with a brush to help this blend, using thin glazes of black and Khorne Red mixed together to help connect the two colours. The rest of the wings were done with a brush too, again using thin glazes and progressively building up the brighter colours towards the tips. Sean: Also the fire effect from the mouth, how did you do this? Amy: The fire effect in the mouth was really simple, I started off painting it normal mouth colours and then I painted in some white, and gradually built up glazes of Bloodletter and Lamenters Yellow over this white, finishing off with pure white at the back of the throat to represent the hottest part of the mouth. Sean: Making it sound simple. So what tournaments you got planned for the next few months? 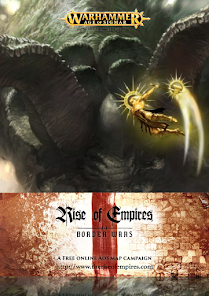 Amy: I'm going to Ben Curry's Alliance event on 7th August in Derby and I'm also going to the Warhammer World Warlords event in September too. I haven't got anything else planned at the moment. I'm hoping to get enough Stormcast painted for Alliance, but I may have to take my Seraphon if not as my Fyreslayers will be at Warhammer World in the special exhibition. Sean: Are you taking part in the summer campaign? Amy: Yes, I am! 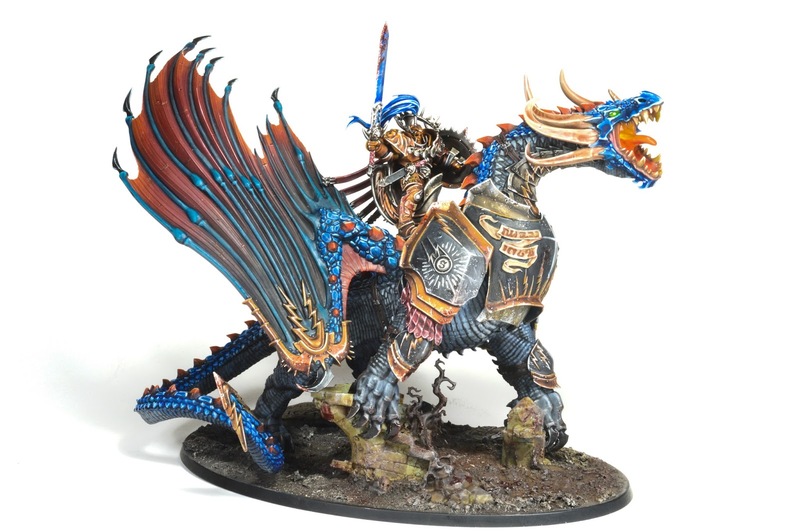 My partner, Tim is the manager of our local Games Workshop in Hull, and Age of Sigmar is really popular in our area, there's loads of people taking part, it's great fun. I'm using my Stormcast in the campaign. Sean: What you planning on doing after you complete your Stormcast? What happened to the Spiders? 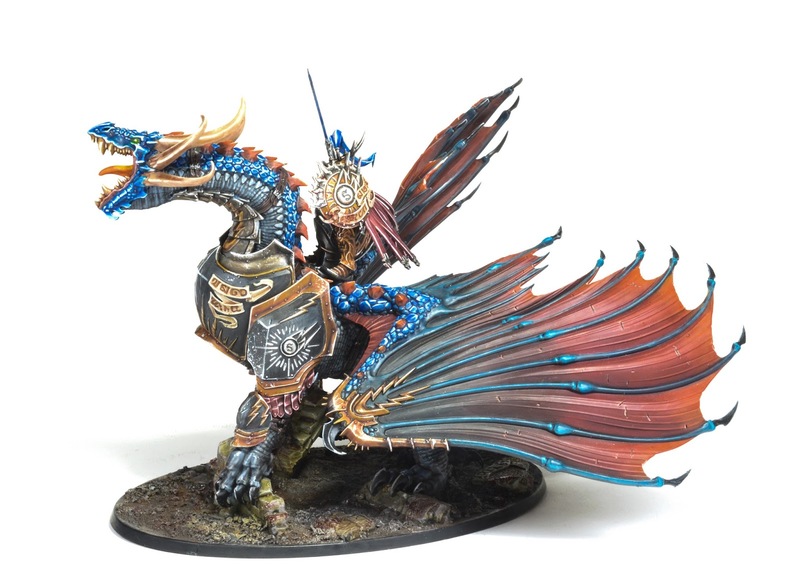 Amy: I'll admit I'm a sucker for new models, and the Stardrake and Dracothian Guard made me see the Stormcast in a completely different light, I never thought I would do a Stormcast army but now I'm really loving painting them. 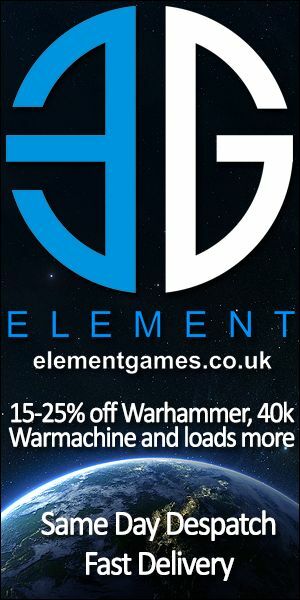 I flutter between projects and I've been quite guilty of this recently, blame Games Workshop and their awesome new releases. I will get back to the Spiders at some point, I was going to paint them up for a Warhammer World event this month but then I couldn't go anymore so the project got temporarily shelved when I found a Stormcast scheme I liked. The Spiders will get done at some point! 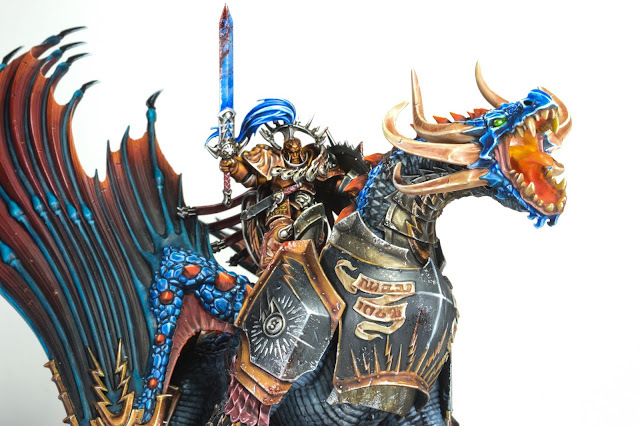 Sean: What has been your favourite model to paint so far? Amy: That's a really difficult question because I have loved every model I've painted. 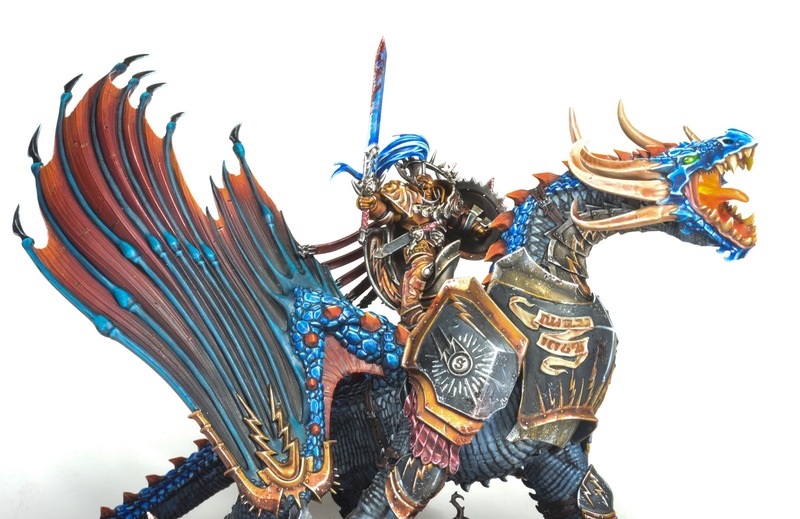 I really loved painting my Archaon, and I really enjoyed painting my Stardrake, even though it felt at some points like I'd been working on him forever. 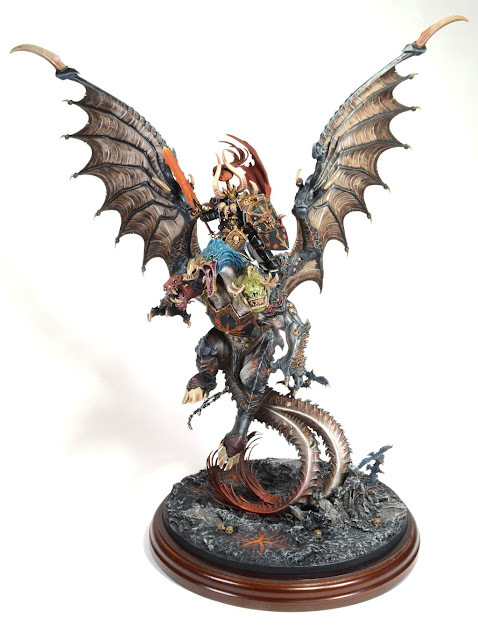 I think my favourite though is probably Archaon, it was the first big model I attempted, and I really enjoyed it. I also really love painting the Stormcast, they're really quick and simple to paint, and I've loved trying out new techniques on them! Sean: What got you into the hobby and how long you been doing it? Amy: My partner, Tim got me into the hobby about 2 years ago now, it was funny though as the hobby has always been in Tim's life but we had been together a year and a half before I even took an interest, our lives revolve around the hobby now so i can't quite remember what we did before I first took an interest! I first started off painting The Hobbit models and we started playing a little bit of The Hobbit together, and then I painted a bit of 40k stuff. 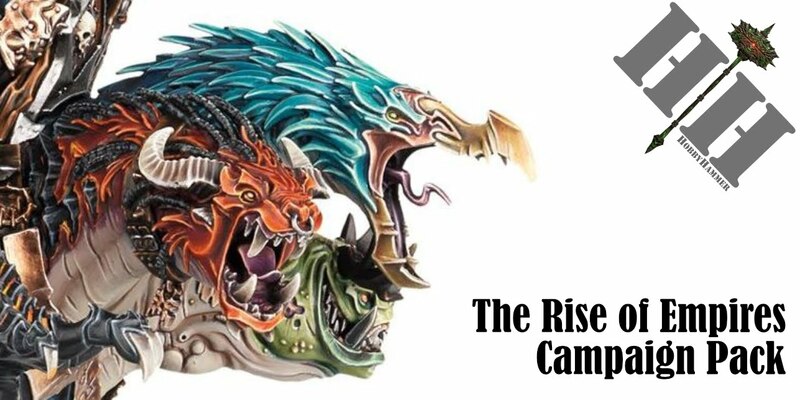 My hobby passion didn't fully begin though until Age of Sigmar was released, when I truly fell in love with painting. Since Age of Sigmar, I've painted more models than ever and I've loved every minute of it. Sean: Any final thoughts or anything you want to promote? Sean: Thank you very much for taking the time to answer my questions and looking forward to seeing what you do next!